This is the final instalment of our Winter 2018 Vendor Previews! Thanks for following along - anything above this post is for Spring 2019 or later! 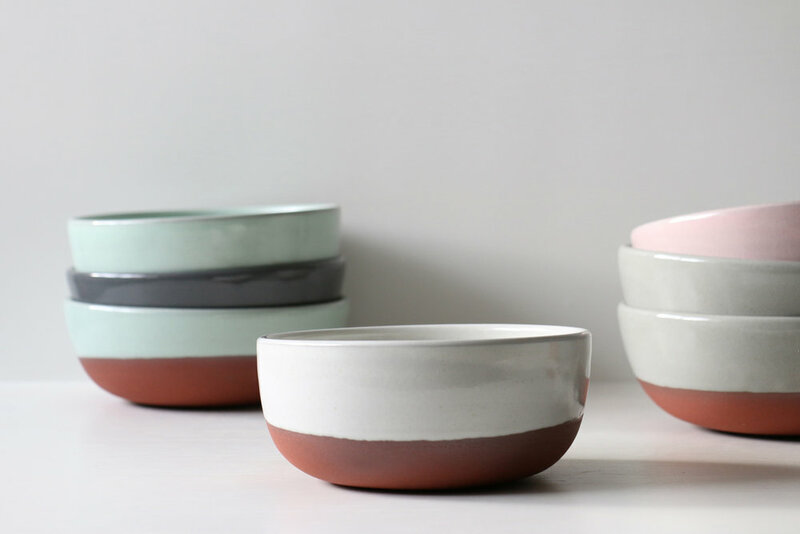 With interests in mid-century design, pop culture, and craftsmanship, Sam Knopp of Sam Knopp Ceramics makes handmade ceramics that are playful, minimal, and richly tactile. Her beautiful pieces will automatically become central points in your decor! Catch Sam at the Bison from December 7 to 9, follow her on Instagram (@samknoppceramics), and read on to discover what inspires her! Sam Knopp Ceramics: I think it’s ultimately about relationships. Creating meaning and connection with other people but also the material world around us. The process of creating and re-creating is a type of conversation you have at times with yourself but even better when it’s with others. SKC: It feels like a lot! But mostly I’ve been reworking and refining my materials and techniques over the last year. I am a classic Libra over here so you will find a mix of bright, loud, plastic, pop and cool, refined, and minimalism. SKC: A strong focus on material. I don’t have much for illustrative chops and I’m definitely not a production potter but I sure love the clay and glaze. So I’m always finding ways to make that the focus of the pieces I make. SKC: I live in the village Irma, about an hour and half east of Edmonton. It has been an amazing place to set up shop over the last two years and its proximity to Edmonton allows me to be part this city’s rich creative community. The Edmonton art scene is full of talent and yet remains humble and welcoming. Edmonton has that strange small town/big city feel which means there are the resources to make stuff happen and excitement for new ideas in a community that truly wants to build each other up. So its pretty great. SKC: This is tough. So, so, many. Trading was actually a problem (a good problem!) for me at last year’s Winter Royal Bison. Two of my favourites from those swaps are a necklace I got from Jared Sykes of Stable State and a set of spoons from Rachel Beyer of Grit and Grain. SKC: Chocolate Clusters from my mother-in-law (fingers crossed for an extra batch this year with this shout-out). Every year we get a box regardless of where we are and they don’t last more than a couple hours. We’re so excited to welcome back BC-based ceramicist, Kalika Bowlby of Kalika Bowlby Pottery! She produces finely, handcrafted tableware made for the modern home. Catch her at the Bison from December 7 to 9, follow them on Instagram (@kalikabowlby) and read on to discover what inspires her to create! Kalika Bowlby: I never tire of seeing an idea become manifest. The process of realizing something that once only existed in my imagination is so exciting! KB: I’ve got some new two-tone mugs that I’m really excited about! KB: I like to make things with a focus on timelessness. I hope the objects I make can be enjoyed just as much years from now as they are today. KB: A couple ceramic artists I really admire are Giselle Hicks and Mike Helke. Their work feels like some of the most modern in the ceramic world right now. I’m loving it! I’ve also been enjoying the colour and composition play of UK-based painter Anna Mac. It feels so fun and vibrant. KB: Pie! I always make a couple of pies and decorate them elaborately for Christmas dinner. Molly Bradford of Stranger Studio is back at the Bison with her eclectic mix of ceramic pots, dishes, and sculptures! Not only does her work make great gifts, but you may want to treat yourself to a cool ceramic to make a great conversation starter during your holiday dinner. 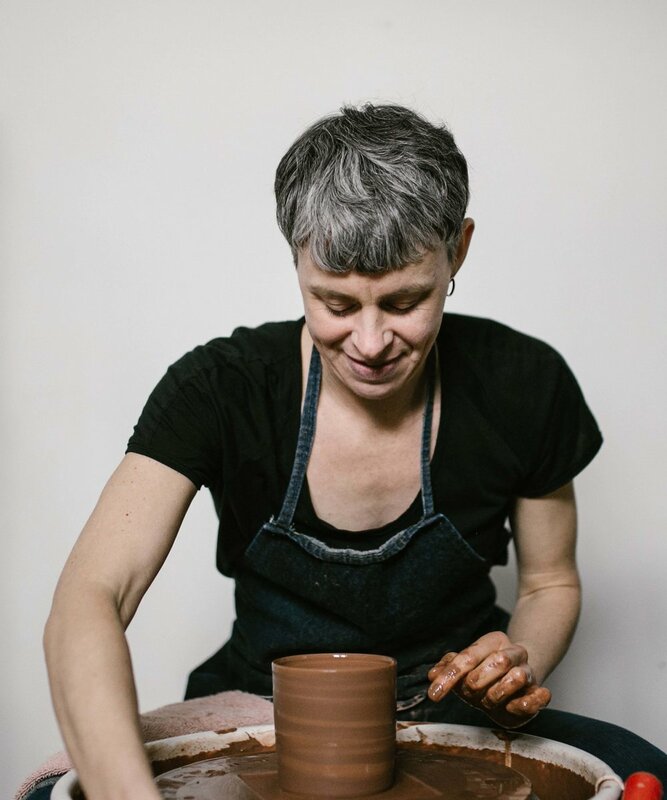 She describes her business as “a one-woman funky factory for ceramics.” Catch her at the Bison from November 30 to December 2, Follow her on Instagram (@stanger__studio) to see more of her work and read on to discover what inspires her! Royal Bison: What’s new for your line or business this season? Stranger Studio: I’ve been experimenting with new shapes in more neutral colours. SS: I think my work has a sense of humour about it. Like some of these pieces might waltz away and have their own Netflix comedy special if I’m not paying attention. SS: Very lucky. Last night when I was driving home I saw a bumper sticker that read: “Edmonton: if you don’t like then f*** right off.” It really gave me the feels. SS: Right now I’m crushing hard on Julian Watts. He works with wood primarily, but you wouldn’t be able to tell because his pieces are so weird looking and organic. The textures always blow me away. SS: My favourite thing to do over Christmas holidays is to drink wine while doing a puzzle and watching movie marathons. Kalika Bowlby Helps Slow Down A Busy World. Kalika Bowlby, ceramic artist and designer, first joined Bison in 2015 and is joining us again for Spring 2018 and we are so excited to have her join us again! Kalika had this to say about her work: "I make pots for every day, for simple meals and grand feasts, morning coffee or tea with friends, handmade contemporary ceramics with a focus on simplicity and functionality." Uggghhh.. That just sounds so APPEALING. We love it! Keep up with Kalika's progress on instagram (@kalikabowlby) and read on down below to see what's been inspiring her to create! KALIKA: I make objects to slow us down in a busy world. They are objects that invite us to set the table, take time to prepare and share a meal, reminders that eating and drinking can nourish us on many levels, objects to help us celebrate the simple, beautiful moments of every day. KALIKA: I have a new line of white minimalist tableware. It is a celebration of timelessness and simplicity. RB: What’s in your designer/maker/creative plans for 2018? KALIKA: I am currently working on a project titled “Hold Water”. I’m developing a series of glazes from locally harvested river clay and using it on the surface of large forms that “hold water”, bringing attention to the preciousness of our water sources. KALIKA: A couple contemporary ceramic makers that I really admire and am constantly inspired by are Mike Helke and Giselle Hicks. www.kalika.ca <<< Head on over to Kalika's portfolio site to see her full portfolio of work! Q: What draws you to making/designing things? SD: I like to make, just to see what might happen. Q: What’s new for your line/business this spring? SD: For Spring I’ve been focusing on a lot of vases and flower pots with minimal decoration. SD: This year I want to stretch my hand building muscles and use a slab roller to create some new forms. SD: I don’t think I would be alone in admitting my huge crush on potter Helen Levi and her pal, woodworker, Ariele Alasko. Also, Eric Roinestad is practically a potter from outer space and I love his work. It looks like a bunch of perfect shapes glued together, but very elegant. We are super excited to welcome ceramicist and industrial designer Molly McMahon's Stranger Design project to the December 1-3, 2017 weekend of the Royal Bison! She started making ceramics in June 2016, and her pieces are the coolest! Read on for what makes her like being an Edmonton maker and make sure to check her out pieces on instagram. MM: I think it means being weird, inclusive and so dang fly. The design community in Edmonton is so supportive and awesome! MM: Right now I’m really into 1960’s Italian industrial design. I would also say that ceramic artist Helen Levi, is my idol. And Solange, her music videos are just wild. MM: My macaroni noodle necklace by super star Tory Culen at Karmen Victoria.